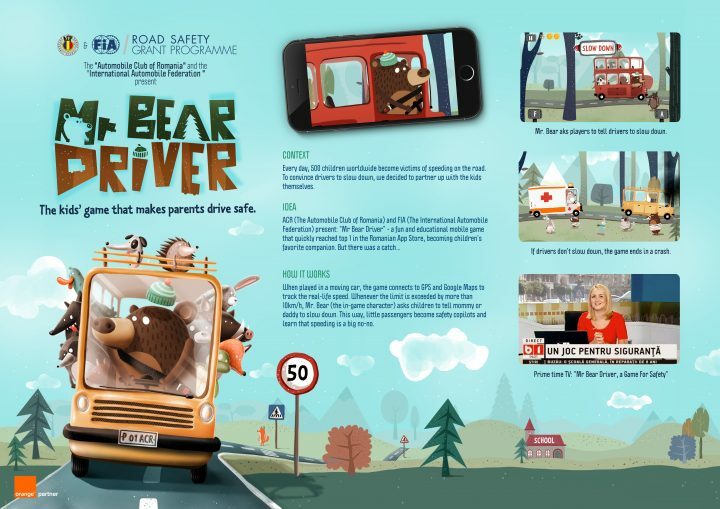 A new mobile phone game launched by the Automobile Club of Romania is encouraging kids to tell their parents when they exceed the limit. Plimbă Ursul (Bear Driver) features a bus driven by a bear, collecting friendly animals from bus stops along his route. Using GPS data, the game tracks the speed of the vehicle the child is travelling in, and warns if it is going too fast. The child can then let the driver know – and if they don’t slow down, the in-game bus will crash!